Join us for five magical days of looking into the enchantment of myths and folk tales. Great writers, composers and artists have regularly been drawn to the universal motifs found in these stories, and on this course we will also draw on the immense hoard of traditional tales to empower our own writing for young adults. Our experienced tutors will explain how they have woven Celtic and Norse mythology and Arthurian legend into their own poetry and their fiction for young adults. Everyone will get involved in daily workshops and written exercises to try out various approaches. Above all, there will be time to think and dream and write, and to share work-in-progress with the tutors and co-participants. 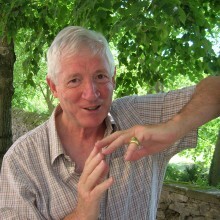 Kevin Crossley-Holland has published nine collections of poems and translations from Anglo-Saxon, and he is the author of The Penguin Book of Norse Myths. His books for children include retellings of traditional tales as well as his Arthur trilogy (translated into 24 languages), Gatty's Tale, and two Viking sagas, and he has been awarded the Carnegie Medal and The Guardian Children's Fiction Price for his work. Kevin has worked with many composers and artists, and assisted the late Gwyn Thomas on his retelling of the Four Branches of the Mabinogi for children. He is a Fellow of the Royal Society of Literature, patron of the Society for Storytelling and the Story Museum in Oxford, and President of the School Library Association. 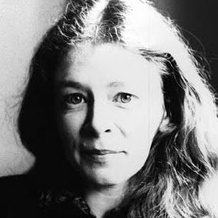 Katherine Langrish is the author of West of the Moon and Dark Angels (HarperCollins); her most recent publication is Seven Miles of Steel Thistles, a book of essays on fairy tales and folklore based on her blog of the same name. 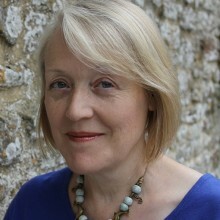 She reviews regularly for the Sussex Folklore Centre’s journal Gramarye.